NAIROBI- Kenya on Monday vowed to spearhead Pan-Africanism in order to enable the continent to chart its own destiny. Deputy President William Ruto told a region forum in Nairobi that Africa’s political and economic liberation will only be achieved if the continent sets aside tribal, religious and nationalists divisions. “We need to build on the growing sense of emancipation as well as the new wave of Pan-Africanism that has been witnessed in this millennium,” Ruto said during the opening ceremonty of the Eastern Africa Region Pan African Congress. The three-day East African regional congress will serve as the template for the other 11 regional Pan African congresses that will take place around the world. It is also expected to come up with East Africa’s positions for the eighth Pan African Congress which will take place next year. The first Pan African Congress took place in 1919. Ruto called for change in the narrative that portrayed Africa as a continent steeped in poverty, corruption and disease, saying it was time Africans believed in themselves and wrote a narrative that was a true representation of the continent. “We should give first priority for people in the continent to access opportunities in our countries. Kenya is a driver in removing the barriers, eliminating the hurdles that exist in doing business as East Africans, as Tripartite Free Area Agreement and as continent,” he said. Early this year, 26 African countries signed the Tripartite Free Area Agreement to create a common market to ease movement of people and goods among their countries. 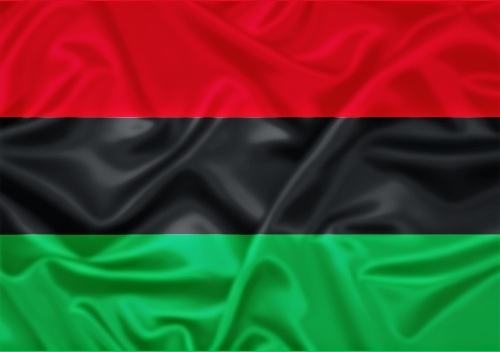 Pan Africanism is an ideology and movement that encourages the solidarity of Africans globally. It is based on the belief that unity is vital to economic, political and social progress and aims to unify and uplift people of African descent. Ruto said Africa needs a new vision of Pan Africanism as means of dealing with increasing transnational threats to the sovereignty of different nations. The deputy president said there is hope in the African youth who have begun to wield new tools and technologies to affirm that the African spirit transcends boundaries. “Indeed we are experiencing and witnessing the birth of a new Pan Africanism with budding crop of entrepreneurs, technologist harnessing the power of mobile and internet to challenge Africa’s problems,” he said. “We believe in the African continent, we want to build bridges across our continent to give the opportunity to those who can exploit the opportunities to better their lives and that of the African continent,” he added. Uganda’s Minister of Justice and Constitution Kahinda Otafiire called for the establishment of an African Court of Justice to try cases on the continent, saying African leaders must not suffer the indignity of being tried abroad at the International Criminal Court (ICC), yet they can form their court to try any cases locally. Kenya’s Attorney General (AG) Githu Muigai said that Pan-Africanism was founded in order to debunk the myth of African inferiority. “We must look at ourselves, Africa has one of the fastest growing economies, we must take responsibility of our own destiny and build the continent together,” Muigai said.